I love Disney. I spend half of my childhood watching these amazing Disney shows and cartoons. I literally grew up with it. My parents were quiet strict when it came to TV. I was only allowed to watch children stuff. We had that good old computer but none of us knew how to use it, then Dail-up Internet came along but I could only use that for school stuff and all I knew was to play Mario and barbie on that. No regrets !! Disney was amazing those days. We had amazing shows, Disney movies and Disney channel original movies. Now when I see Disney I feel bad for the kids and teens there are no good shows on Disney. ( Maybe Girl meets world but that too is a spin off of Boy meets world ). Old Disney show felt really fun to watch. I enjoyed most of the episodes and characters and I really do wish quality could go back up on Disney Channel since it has been stale for a while. Before Jennifer Lawrence, Hillary duff was the one everyone wanted to be best friends with. How can you not love hiliary duff. I was younger than her but could totally relate to her. Lizzie McGuire (🎵Remember the song, – If you believe we got a picture perfect plan…) define 8th grade for me. Ethan craft with his luscious locks and classic good looks it isn’t hard to see why Lizzie was all about him in her middle school days and Miranda was best friend ever. The cartoon was cool too. Lizzie McGuire was so big you had do a movie. Her and Goudo got together that was the big thing. (🎵Hey now hey now this what dreams are made of..). Then there was Cinderella Story OMG OMG Chad Michael Murray 😍😍😍😍😍. If that didn’t blew your mind that combination I don’t know what will. I watched Cinderella Story literally two week back. It is always on ABC and this time I couldn’t resist. Her musical career was big too. I actually liked her music to be honest cheesy but catchy. But In my mind she will always be Lizzie McGuire. Every child dreams of having magical powers. I was no exception to that. Wizards, being a wizards is quite a coolest thing. The show that was really good writing. Execellent story line the wizard family with amazing magic power but has to hide to the world. Selene Gomez had a really good comedic timing. J T Austen was so cute and funny. He was in the Foster in ABC. This was one of few Disney shows that boys in my class did watch and admit it too. It was unsual concept for teenage show. Teenager norms that has never been done before. It had diversity. It was but a norm. It has best tag lines. Raven’s “you nasty” was way popular back then. 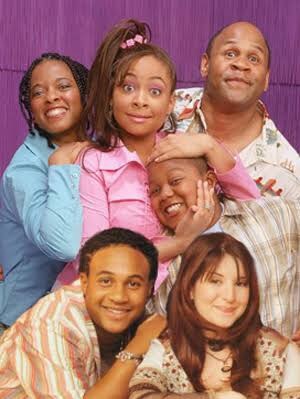 Raven Chelsea and eddy were OG squad. A teenage girl briefly receives psychic vision of near future. Trying to make this vision come true results in troubles and hilarious situations. “Disney loves the formula of giving a normal kid something extraordinary or magical to contend with. And That’s So Raven successfully fits the mold. The writers and actors aren’t quite up to the demands of drama, though, and — as virtually every story tries to weave Raven’s dreams into the stuff that family and friendships are made of — the series often gets too basic for its intended preteen audience. Rockstar is coolest thing to be for a teenager.It sparked a movie it sparked a world tour. It was best of both worlds. She had life of an rockstar and girl next door. Her acting and singing was very good. Miley was the next best thing. Atleast before VMAs she was. After the vma thing Miley went crazy off Disney officially has taken off anything that has to with her in iTunes and stuffs. Nevertheless Hannah Montana was a great show. If Hannah Montana which recently completed 10 years taught me anything it that life is not going to be exciting and fun I need to make it exciting and fun. 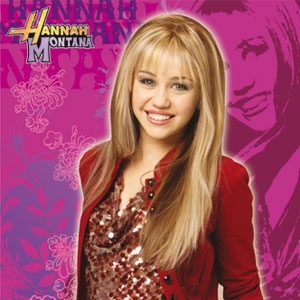 “Now when you turn on Hannah Montana, you see … a charismatic teen fronting a goofy, almost-always-innocent Disney sitcom. Say what you want about the evolution of Miley Cyrus, her flagship program is still mostly on the up-and-up. Cyrus, as Miley Stewart, still sings to full houses as alter ego Hannah Montana. She still lives with her father (real-life pops Billy Ray Cyrus) and hangs out with brother Jackson and friends Lilly and (when he’s around) Oliver. She still lives in Malibu, Calif., but (on the show, at least) holds true to her small-town Tennessee values. Suite life of zack and Cody. Disney movies are known for being heartwarming, cute, funny, inspirational, and sweet. But they also feature some of the most dazzling artwork ever committed to film. I was raised on a viewing diet of Princess, their beautiful gowns and beautiful shoes, handsome and kind princes, magical powers, flying carpets, talking animals, and catchy songs sung by animated characters. You probably were, too. Few of us made it through childhood without Disney being part of our lives. Films from The Walt Disney Company became an important part of our early years But maybe we’ve noticed things as adults that our childhood selves never saw in Disney movies. Cinderella, Ariel, Belle, Snow White, Aurora, Pocahontas, Tiana, Anastasia, Jasmine and Mulan are the beautiful princesses who had beautiful stories and happily ever afters. Bambi, Lion king( Simba), Tarzan, Toy story, Peter Pan, Robinhood, Pinocchio and Winnie the Pooh are some of my favourite Disney movies and characters. It teached us to believe, to dream, to be brave, to choose love over hate, family matters, to be a nice person. Cinderella teaches us that even miracles takes a little time, Toy story to reach for the sky, Peter Pan that all it takes is faith and trust and just keep swimming says finding nemo. What more life lessons you want children’s to learn. Disney is the best teacher!!! And while we are at it lets talk about cartoons. Baby looney toons, Power Rangers, Hey Arnold, Rugrats, Family guy, Recess, Pokemon (pikachu, pika pika!! He is still my favourite pocket monster, I do remember having the cards collection and playing Pokemon snap), Powerpuff girls( Feminist!A show where three super girls save the world), SpongeBob, Richie rich, Gummi Bears, Johnny bravo, Scooby doo, Popeye, Dexter, The flinstones etc are all beautiful part of my childhood. 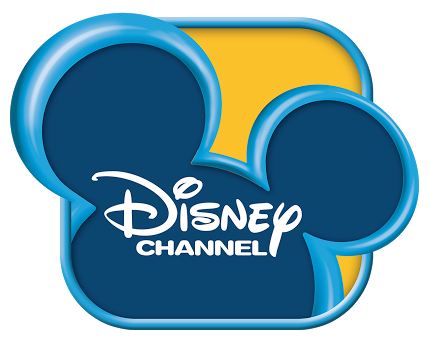 I miss the old Disney, do you ?? What is favourite old school cartoon?? 😦 this makes me sad and old but thank you for writing this. Disney movies are the ultimate feel-good movies! Great post! Disney used to rock with their cartoons back in the day. I remember gargoyles,duck tales,chip and dales rescue rangers and dark wing duck. I still buy them when available. I have chip and dales rescue rangers on dvd. 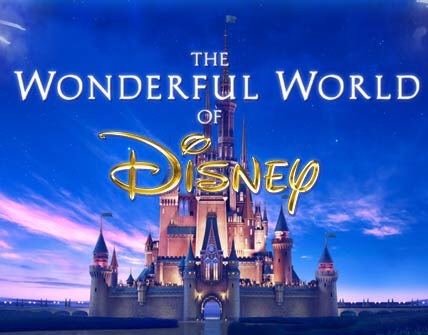 For me “old Disney” is The Wonderful World of Disney on Sunday nights in the late ’60s and early ’70s. I remember very little of it, except for the opening credits with the Disneyland fireworks and Tinkerbell, and that occasionally they’d show one of the then-current Disney movies (The Computer Wore Tennis Shoes comes to mind) over three weeks. (Later on, there were also syndicated reruns of the original Mickey Mouse Club on local TV.) Walt Disney was still around back then, so Disney hadn’t evolved into the Michael Eisner-led, uber-corporate Disney that the company eventually became. Although I never saw any of the shows you mention, I think that 1990s era may be the last truly memorable era for Disney. I was never interested (I preferred Nickelodeon—Aaaah! Real Monsters, Rocko’s Modern Life, Rugrats, Hey Arnold, and Angry Beavers among the cartoons; and Clarissa Explains it All and The Adventures of Pete and Pete among the live-action shows), but at least Disney still had a strong identity back then. These days, Disney seems awfully generic—even Phineas and Ferb feels as though it could be on Nickelodeon or Cartoon Network without any modification whatsoever (in part because the folks behind it were also involved in Rocko’s Modern Life), and there seems to be little difference among the animated films produced by Pixar (now part of Disney), DreamWorks, and every other studio releasing animated features. Oh yeah Sabrina the witch. I totally forgot about that. I loved her and her cat with no boundaries. 😍😍😍. Thank you. You are more than welcome 🙂 🙂 Now I want to watch those shows again! It is so good to go through all of that stuff once again..I personally feel that every child should have a childhood..they shouldn’t be thrown up directly to the race to conquer the world..
We all got so busy in stuffs that we don’t have the time to cherish upon on those good old memories.. Thanks to you for making it fresh..
You’re welcome😊. I agree too, Childhood is so precious we won’t/can’t be that unconditional, genuinely happy, innocent, kind or honest or vulnerable anymore. And when we look back we miss being that person who doesn’t have to be calculative of her every move. Thank you for stopping by. Sorry. Being anonymous gives me freedom to write about anything I desire. I don’t want to lose that. Disney was my whole childhood and I don’t think I will ever get too old for it haha still waiting for Finding Dory! I think its great you got to watch cartoons as a kid. When I was young my parents didn’t want to pay for the TV channel that showed all of the Disney cartoons so I never got to exposed to animation as a kid. I saw Lion King for the first time last year at age 23 lol. OMG! Lion king at 23. If I may ask, What did watch then, as a kid ?? 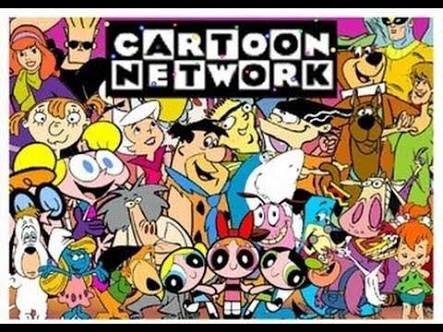 I mostly read but I remember some cartoons like Recess and Batman. I loved all those shows especially Lizzie McGuire. And I loved every movie Hilary Duff was in. This made me all nostalgic. And the animated series like Kim Possible 😍! What happend to Disney? K.C Undercover is an amazing show too, and kids these days like the new actors, I feel as if the shows then were just as good as they are today, but it is kind of given young kids a chance to put their self out there. Importantly is seeing young kids on stage, and it inspires more 2016 citizens to go and show the world it doesn’t matter how old you are, you can do anything you believe in. But I can’t watch TV on school days either. Yeah I think your are right. Maybe it’s like the generation thing. Nowadays Kids are different, they grew up in quite a total different environment and so they may not like these shows like we did. They do having coolest apps and video games I wish I had. And Kids are definitely more confident. So all is well. Thank you for sharing your thoughts with me. You are welcome if you want some amazing and more inspiring quotes and opinions, just do a daily search on Zendaya Coleman, I love her so much! She is the one who plays on K.C Undercover, Trinette strokes, Judy, Veronica Dunne, Marrisa, Kamil McFadden, Tammy Townsend, Kira Cooper, Kadeem Hardison, Craig Cooper. I am always happy to share my thought you can ask me if you have a question! I know Zendaya she was in Shake it up and Frenemies. She is cool. But I do miss that so raven but I haven’t really heard of any of those other shows except for Hannah Montana, since I hate miley cirus. Me too. Thank you for stopping by. Old school Disney animation was awesome, but I can’t bear the more recent, CGI movies, they’re so soulless and sterile. And I’m very glad I don’t have the Disney channel, (despite my American daughter’s earlier addiction to it; she’s now hooked on British kids tv, fortunately) their shows are all so inane and I find the stars incredibly whiny and annoying. I was a boy meets world and thats so raven person. Loved this, caused me to reminisce Abt those times. Disney today pales in comparison! Time has taken with it so many things but left behind beautiful memories. And the cartoon shows you mentioned at last, I have seen ALL OF THEM. I could say that aloud to justify the awesomeness of childhood – 90’s kids FTW. I agree with you, 90s kids had awesome childhood in sense of children’s entertainment. Thank you for sharing your thoughts with me. Happy weekend!! I think its more of a perception though. We witnessed that era and we crazily enjoyed it and that’s why we are considering it awesome. As the time evolved, so does the natural thinking. To know how it feels to be modern kid, we would have to be one of this generation. our parents did not allow us to watch TV much during the week, if at all, maybe just an hour. No Disney channel for us. Columbo. That’s a better thing I guess. Also Books and playing outdoors are better options. Thank you for sharing it with me. Happy weekend! 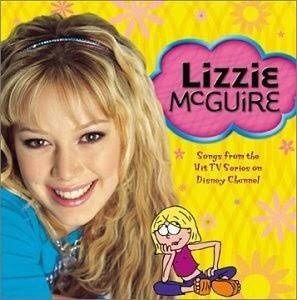 Even though I was too old be watching some Disney shows, I did like Lizzie. I sorta like Hannah Montana. Chris had bought a Wizards of Waverley place movie. I liked the movie, but never watched the show. I should say I didn’t have cable when I was growing up. I can relate to that I still like to watch cartoons. No cable would be my mother’s wish come true she always wanted us to go out and play instead of being glued to TV. Oh my God! I loved Lizzie McGuire!! Me too. 😊😊. Thank you for stopping by. Have a nice day. I love Lizzie McGuire! I’m actually going to be watching the movie next week because I’m going to Rome! Oh great! Rome 😍😍. Have loads of fun and take lots of pictures. My favorite old school cartoon is Anamaniacs! Lol, yes! A really funny cartoon! They don’t make them like that anymore. True. I feel the same. 😊😊.